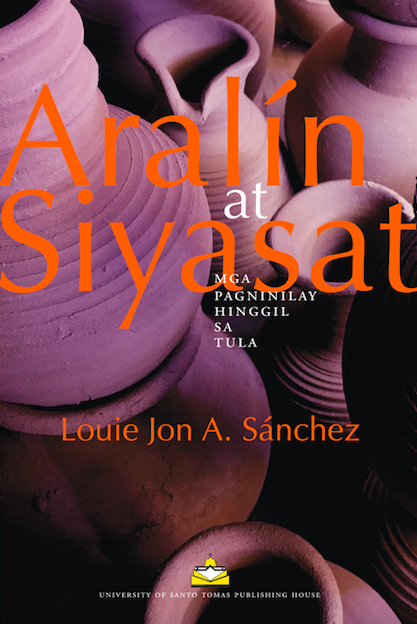 LOUIE JON A. SÁNCHEZ is an assistant professor at the Department of English, Ateneo de Manila University, where he teaches writing, literature, popular culture, and television studies. He holds an A.B. major in Journalism from University of Santo Tomas; and an M.F.A. in Creative Writing, with high distinction, and a Ph.D. in Literature from De La Salle University, Manila. He has two books of poems: At Sa Tahanan ng Alabok (2010, UST Publishing House) and Kung Saan sa Katawan (2013, UST Publishing House); a book of essays, Pagkahaba-haba Man ng Prusisyon: Mga Pagtatapat at Pahayag ng Pananampalataya (2016, University of the Philippines Press); and two books of criticism, Aralín at Siyasat: Mga Pagninilay sa Tula (2018, UST Publishing House) and the forthcoming Abangán: Mga Pambungad na Resepsiyon sa Kultura ng Teleserye (Ateneo de Naga University Press). He also co-authored textbooks on language and literature for basic education: Baybayin: Paglalayag sa Wika at Panitikan Baitang 9 (Rex Book Store) and 21st Century Literature from the Philippines and the World (Vibal Publishing). 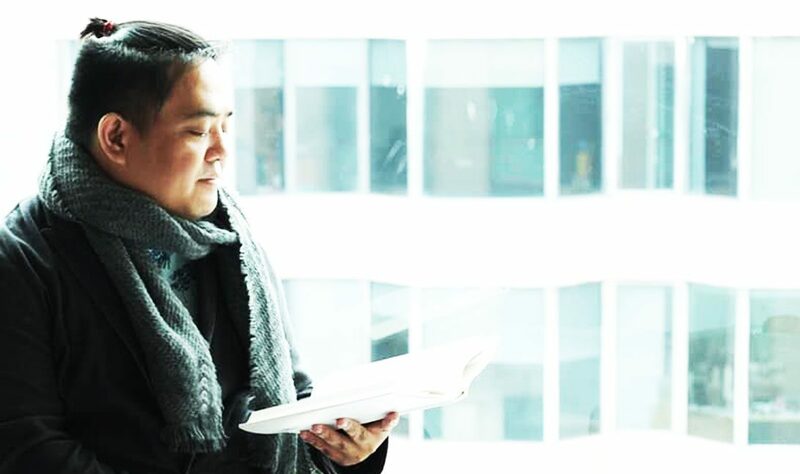 His poetry and prose have earned acclaim from the Don Carlos Palanca Memorial Awards for Literature, National Book Awards, Catholic Mass Media Awards, and the Talâang Ginto (Golden List) Poetry Contest of the Philippine Government’s Komisyon sa Wikang Filipino (Commission on the Filipino Language), where he holds the distinction of being awarded “Makata ng Taon” (Poet of the Year) thrice (2006, 2009, & 2011). He also dabbles in translation, and has ferried into Filipino, the works of Jaroslav Seifert, Franz Kafka, and Ivana Dobrakovová, among others. He directs the annual Filipino poetry workshop of the Linangan sa Imahen, Retorika, at Anyo (LIRA), an organization of poets writing in the Filipino language, and serves at the Unyon ng mga Manunulat sa Pilipinas (UMPIL). He is also associate editor for the international referred journal Suvannabhumi (Institute of Southeast Asian Studies, Busan University of Foreign Studies, Republic of Korea). Before joining the academe full time, he was on the staff of Gospel Komiks, Philippines Graphic, and Balikbayan Magazine. Born in Sta. Mesa, Manila in 1980, he grew up in Caloocan City. He hails from Flora, Apayao in the Cordilleras, where he spent many childhood summers. He dotes on the children of his three brothers.